Spring 2019 Tastings are selling out fast! BOUTIQUE Wine sHOP & wine TASTING SPACE IN CALGARY'S HISTORIC BELTLINE DISTRICT. offering wine courses and tastings since 1996! After over 21 years of wine tasting in Calgary, we continue to not take ourselves too seriously. We feel very privileged that we’ve been able to pay our bills all this time by sharing wines that we love and believe in, never succumbing to the financially attractive urge to sell prosaic wine or fill orders for the flavours of the week. 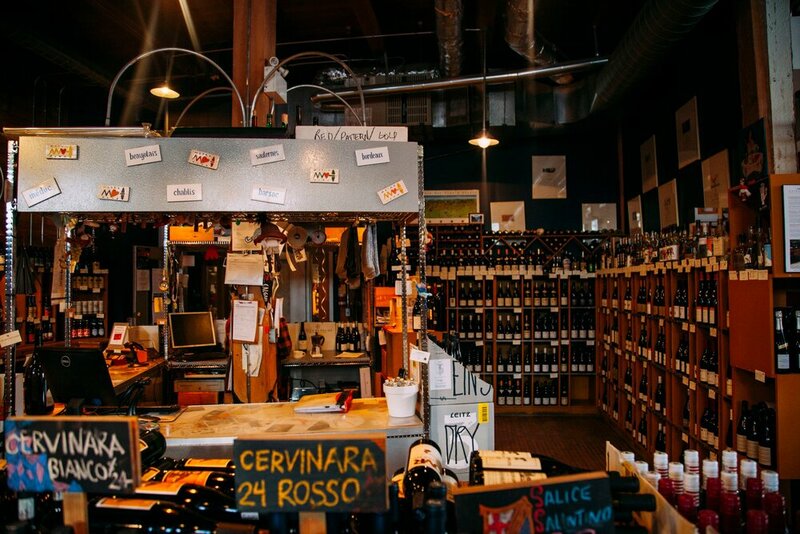 Metrovino remains a retail embodiment of the unyielding love of wine, the yearning for the beautifully disparate places from whence it comes and the emphatic support of the indefatigable individuals who bring it to fruition. We have a fabulous space to host wine tastings and wine classes right here in the shop. Check out the TASTINGS tab to see what we have to offer. There are still many discoveries to be made and many minds to be expanded… we look forward to several more decades of sharing honest and delicious wines with you. Includes invites, news about our upcoming wine classes & events, and information on new arrivals & exclusive product. There’s a guy in my neighbourhood who roams the streets ceaselessly. I’ve witnessed his proclivities for years now and neither snow, nor rain, nor heat, nor the gloom of night keeps him from his wanders; but unlike Herodotus’ subject, he has no apparent mission or directive. We called it the “stinky store”, my sister and I. It was an early incarnation of a natural food store and I now recognize that our mother was way ahead of her time by purchasing the vast majority of our groceries there 30 years ago. Rioja, internationally considered the flagship of Spain's multitude of wine regions, is like many wine regions of the world - home to several interpretations of its famous juice. There are the truly traditional producers (such as Lopez de Heredia), alongside massive juggernauts advocating the old mantra of “Crianza, Reserva, Gran Reserva", and fiercely independent rebels railing against what could be called “Brand Rioja”.